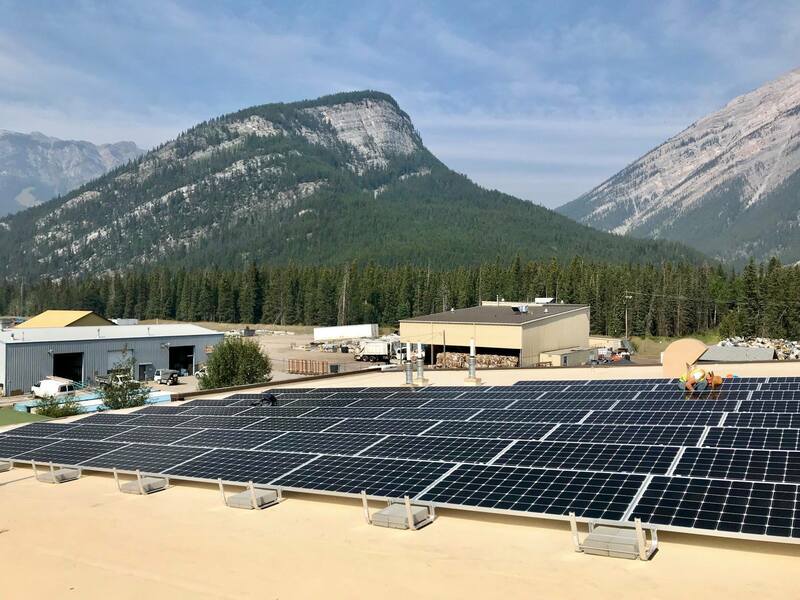 The Town of Banff encourages property owners to install solar photovoltaic systems that produce renewable electricity. The incentive program is funded from the environmental reserve, which is generated through a franchise fee that the electrical utility pays to use the space under the streets to run its wires for providing electricity. Council has allocated $50,000 for this program. The Town of Banff Solar PV Incentive Program is a post-install rebate program, with funding based on the size of solar system installed. Eligible participants install a solar PV system on their home or business, and then receive a financial rebate from the Town, based on the size of the solar system installed. The Town provides eligible participants with a rebate of $750/kW of solar capacity installed, to a maximum of 7.5 kW. Participants in the Banff Solar Incentive Program are also eligible for a provincial solar rebate. Details on the provincial solar rebate can be found through Energy Efficiency Alberta. The Solar Incentive is available for both residential and commercial properties. Only one application will be allowed per individual property. All projects must meet development, building and electrical safety code requirements. Minimum installation requirements are a 2 kW solar electric system. Project must be complete and all documentation submitted by December 31, 2019. All electrical systems must be CSA or ULC approved for installation in Canada. Applicants are responsible to complete the project and submit the necessary paperwork to receive the incentive, including a completed Microgeneration Agreement with Fortis. Town of Banff Building and Development permits are required for solar panels but associated fees are waived. Town of Banff Solar Panel Design Guidelines (PDF) describe requirements for the visual integration of solar panels on buildings for land use districts throughout the community. Eligible applicants must commit to participate in sharing the story and data of their solar installation with the community in various ways including, but not limited to: articles in the local newspaper, Facebook, YouTube, and the Town of Banff website. Have your property assessed by a solar installer. These assessments are usually free, and tell you what size of solar array you are able to install and the approximate cost. Applicants should choose service providers that are familiar with the details of this program. Visit the CanSIA Member Directory or Solar Energy Society of Alberta to find installers/contractors serving Banff. Town of Banff development permit (fees waived). The Town uses the Solar Panel Design Guidelines (PDF) to ensure solar installations are visually integrated with the buildings to which they are attached. 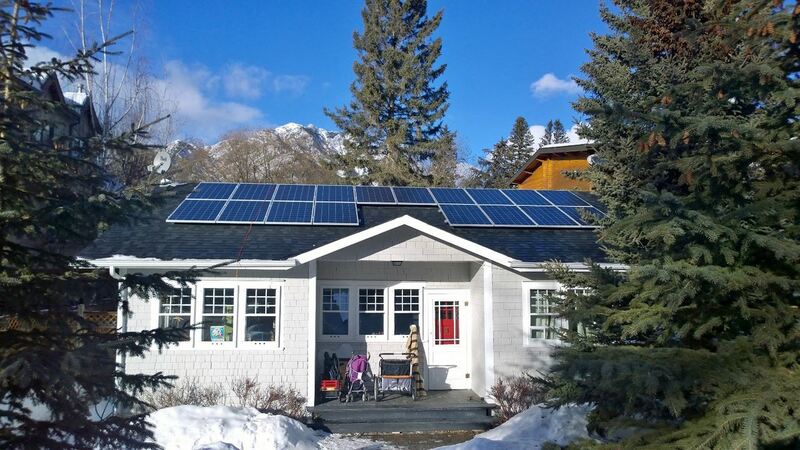 Once your solar system is complete, submit documentation to the Town of Banff that demonstrates that your solar PV system has been installed and is generating renewable electricity. The Town of Banff requires that the following documentation be submitted. 403.762.1215 c/o PO Box 1260, Banff, AB T1L 1A1. The Town of Banff will issue you a solar rebate cheque. Generate and use renewable solar electricity, and save on your electricity bill! The Town of Banff’s Solar Photovoltaic (PV) Production Incentive was recognized June 8, 2016 by the Alberta Emerald Foundation at the 25th Annual Emerald Awards (PDF) , which celebrate outstanding environmental achievements across all sectors in Alberta. Banff experiences an average of 15 hours of daylight in summer and over nine hours in winter. A solar photovoltaic system has no minimum requirement of hours to work, and will generate power even on cloudy days, as long as the panels are not shaded by trees or other structures. The Town of Banff has invested in solar at several municipal buildings. 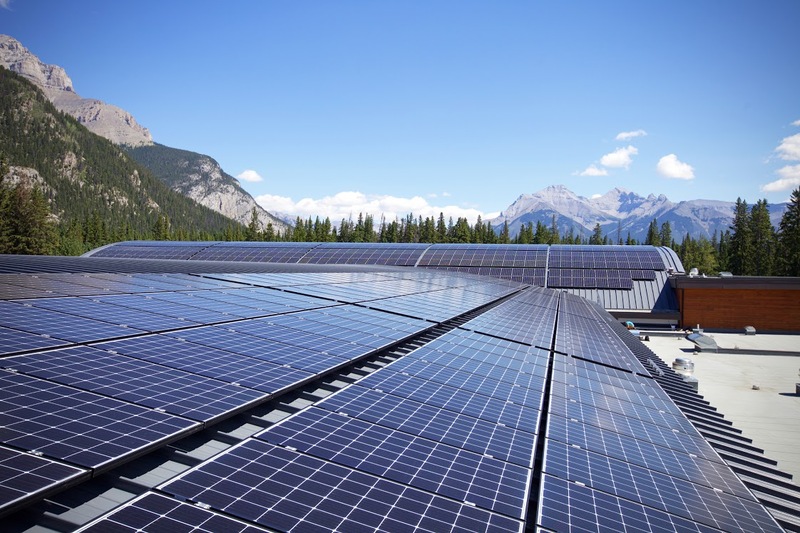 The Fenlands Banff Recreation Centre has the largest solar photovoltaic system in the Bow Valley. An array of 984 solar panels installed on three roofs is part of the 280 kW system, which began generating renewable energy July 25, 2017. With the electricity being produced at The Fenlands, the facility will see energy bill savings of approximately $15,000 per year. The Fenlands is one of the municipality’s largest consumers of electricity. With the new solar power system, approximately 20% of the electricity used each year will come from renewable energy. Watch the system power performance live throughout the day and how much energy it's generating. The Banff Transit-Fleet Building in the industrial compound is the newest solar installation in Banff. Officially turned on August 24, 2018, it's a 24kW solar array. This is now the municipality’s second largest solar system behind The Fenlands. This project was completed with the support of the Alberta Municipal Solar Program, which provided 25% funding for the project. Solar panels were installed on the roof of Banff Town Hall in August 2013. It's a 18 kW system with 72 panels that generates 17,500 kW hours of electricity each year. This project was not only designed to reduce greenhouse gas emissions generated by municipal operations, but to inspire local businesses and residents to consider converting their own electricity source to solar-generated power. You can watch how much energy is created with the real-time tracker below. Can't see it? Try this.